Malaysia’s and Singapore’s governments at each other’s throats? We’ve been here before. One of the reasons why Singapore’s People’s Action Party (PAP) and, until May this year, Malaysia’s Barisan Nasional (BN) have won national elections more consistently than any other party in democratic Asia is their ability to ratchet up domestic nationalist sentiment against the other. The PAP has ruled Singapore for almost 60 years while the BN era (including its Alliance predecessor) lasted 61 years. BN may no longer be in power, but Malaysia’s current governing coalition, Pakatan Harapan (PH), has as prime minister ninety-three-year old Mahathir Mohamad, a former BN leader and persistent thorn in Singapore’s side. There is a tiresome familiarity to it all. We can be sure of three things. First, once the sabre-rattling is done, the governments will eventually resolve all aerial and maritime boundary issues amicably. Second, the big losers will be us, the citizens. In a world struggling to deal with nativism, and the dangers posed by demagogues who preen their exclusive identities at the expense of our common humanity, it has been worryingly easy for politicians to ignite dormant antagonisms against the other. Malaysians and Singaporeans are essentially the same peoples—in both countries one finds the same ethnicities, the same religions, the same cultures, the same cendols (almost). If even we can be so easily turned against each other, what hope do other more conflicting identities elsewhere in the world have? Politicians on both sides have exhibited passive-aggressive tendencies. Rais Hussin, a supreme council member of Bersatu, the Mahathir-led party that is part of PH, wrote an Op-Ed that combined a conciliatory call for cooler heads with a bald-faced threat that Singapore was at risk of “pain by a thousand cuts”. It was remarkable not least because one rarely sees a Malay channelling a punishment from Imperial China. Tan Chuan-Jin, Singapore’s speaker of parliament, reposted on Facebook a potentially incendiary video that suggests Malaysia may have nefarious motivations for its actions, such as inciting racial disharmony in Singapore. He also asked followers to keep Singaporean soldiers “in our prayers”, a divine exhortation one usually associates with boots on battlefields. He ends off saying that “no one is trying to be jingoistic”, which is precisely the sort of disclaimer that makes one worry about jingoism. Dear reader, yesterday I published a piece on Oxley mostly for a foreign audience. Let’s not talk about it? First, the most worrying thing. If Singapore ever faces a serious corruption problem at the top, we now know there are many Singaporeans who won’t bother. A corrupt leader may simply be able to waltz off with the family jewels. Think about it. The prime minister’s own siblings had accused him of abuse of power. Instead of simply being curious about the incident, never mind calling for an investigation, many Singaporeans shot the messengers—please don’t air your dirty laundry in public. Worse, there were suggestions that Singaporeans shouldn’t talk about this because it damages our country’s reputation. People were more concerned about face than abuse of power. Let’s just sweep everything under the carpet, now. That’s the mature way to deal with problems. The Old Man. Shouldn’t LKY shoulder at least a bit of the blame? For somebody so decisive in life, he has proved frustratingly ambiguous in death. He flip-flopped over including the demolition clause in his will. He gave each kid an equal share of his estate; but, knowing that they disagreed over the fate of the Oxley Road house, he gave the property to Lee Hsien Loong but placed his demolition desire, legally, in the hands of the executors, Lee Hsien Yang and Lee Wei Ling, the only one to live there. Settle your differences, he seems to have been saying. The Old Man, clearly, was never able to reconcile his two competing morals: on the one hand, shunning monuments (destroy the house), and on the other, realising that the state’s interests must always supersede the individual’s (let the government decide). I suspect, given what we now know about his squabbling children, that he may not have died in peace. Which is sad. Sarojini Naidu, a poet and political activist, once joked that it cost India a fortune to keep Gandhi in poverty. She was referring to, among other things, the fact that while he travelled in third-class in his homespun dhotis, lots of money had to be spent on buying up tickets to clear up the cabin and ensure his security. Observing the fracas over 38 Oxley Road, one wonders if we might one day say the same about LKY’s simple living—that it ended up costing us a fortune. It seems like Nepal has faded quickly from our thoughts. More than 5,000 have died and one million children are in urgent need of help following a 7.9-magnitude earthquake that hit on April 25, 2015. That was followed by dozens of aftershocks and tremors registering more than 4 on the Richter Scale. The earthquake’s epicentre was in Gorkha, the district from where Gurkhas historically come. 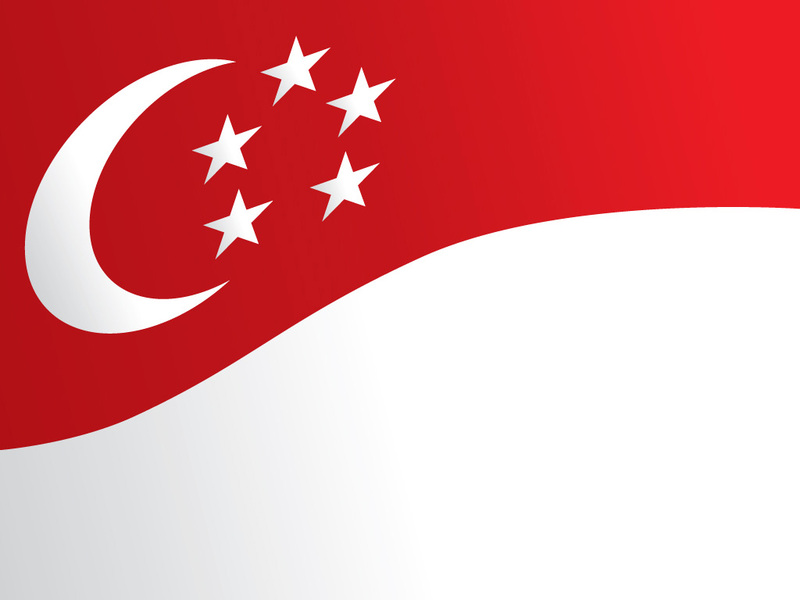 Many people from many countries have contributed to Singapore’s success over the years. Perhaps the most colourful, charismatic community—albeit publicly stoic and reserved—is the Gurkhas. I was lucky enough as a boy to hang out with them in Mount Vernon. I remember eating devilishly hot onion chilli “salsas”, sometimes with sukuti, tough buffalo meat, then marvelling at them cooking goat curry in a giant wok, using spade as spatula, above a wooden fire sitting in a freshly dug cavity. 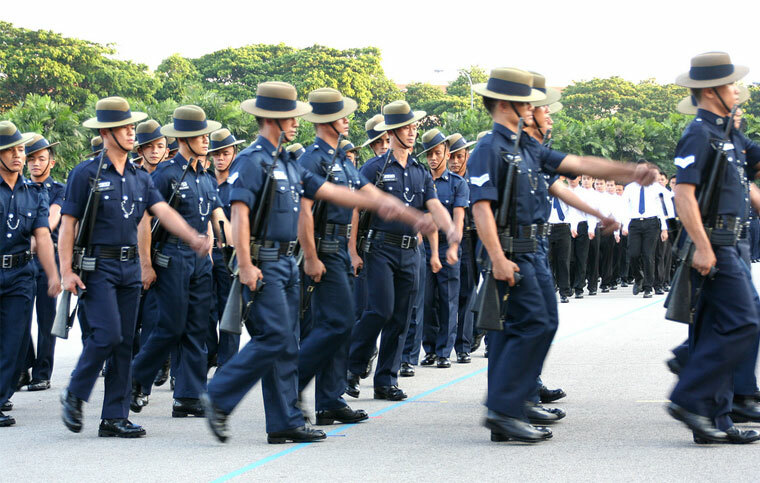 But why does Singapore need Gurkhas for our highest-security tasks? Two other anecdotes, told to me on Mount Vernon, possibly exaggerations, went something like this. First, the difference between Gurkhas and the local police is that the Gurkhas, if faced with that cruel choice, will shoot down their family, even wife and kids, in defence of their master. Locals won’t. Second, like great martial artists, Gurkhas exercise incredible control over their strength and skills, preferring to defuse situations in non-violent ways. Apparently Singapore informed the Gurkhas that if they ever got into a brawl in public, our judicial system would regard their hands as “deadly weapons”. Of course, the Gurkhas represent just some of the many Nepalis in Singapore. And of course, we should help the Nepalis like we would any other human in their position—simply because we can. Still, it is a good time to reflect on the Gurkhas in Singapore and elsewhere. Singaporeans who want to help can give to the Singapore Red Cross or one of the many other organisations doing work there. For those who prefer to support smaller organisations, please click here for one that is vouched for by Zakaria Zainal, Singaporean photographer who has spent much time there. Dear friends, I recently took a break from my China/India book to write two pieces on the great man. The first is on POSKOD.MY, a Malaysian outlet that had the neat idea of publishing two reflection pieces, one by a Malaysian, one by a Singaporean. 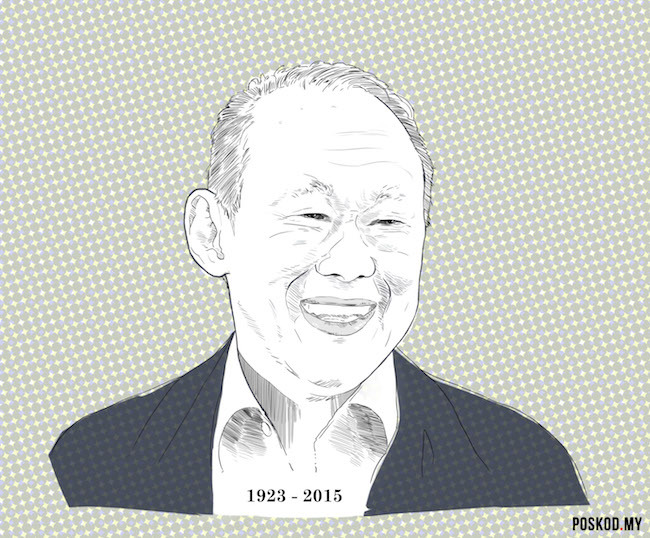 I was asked to respond to “What LKY means to Singaporeans”. Mine is here. The other, by Malaysian Ahmad Fuad Rahmat, is here. My second piece is on Mothership.sg. Here I had to write more of a traditional obituary. But rather than a comprehensive sweep, I chose to focus on some of his seminal life events and influences, such as his wife. As you might imagine, it is both easy and difficult writing about this complex man. Easy because there is so much good material. Every time I poke my nose into one of his books, I come away with a memorable quote.